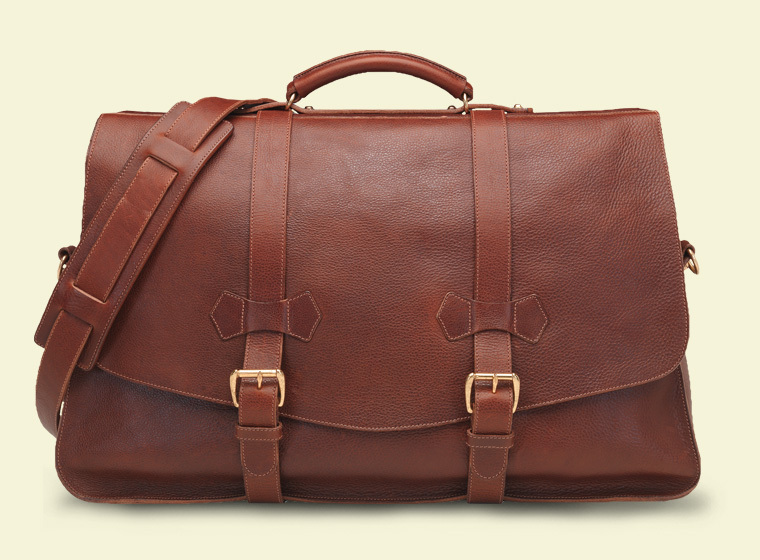 Lotuff and Clegg Leatherworks is another staple among American Brands that truly embodies classic American style. All the craftsmanship is done right in the USA. For decades Lotuff and Clegg have been developing sophisticated, luxurious accessories made from high quality materials with clean, classic design that will never go out of style and will be a piece that will remain with you for years to come. “Forty years ago, two boys found themselves standing by their fathers' sides. One stood in a factory that manufactured women's apparel, while the other stood in a factory that created leather accessories… We were both learning from our fathers, even then, about the importance of authenticity, design and craftsmanship. Early on, we understood that products were seen as a reflection of an individual's personal style; and the best of those products—like the individual—got better with age. Lotuff & Clegg is the culmination of a hope that has been percolating for some time within each of us. And, our collaboration now allows us to bring the absolute best to a customer who can appreciate both the product's purpose and its worth. Photos Copyright Lotuff and Clegg Leatherworks, Courtesy True North Brand Group.